Spring has sprung and so has my bank account. 1. Glossier Cloud Paint are gel-cream blushes inspired by NYC sunsets that are honestly to die for. Get them from Glossier for $18 each or two for $30 (plus free shipping) with the code 2BLUSH. 2. The Tarte Magic Wands Brush Set is a makeup bag staple for any unicorn aficionado. Get the set from Sephora for $39. 3. In collaboration with fashion designer Monique Lhuillier, Essie Gel Couture Bridal Nail Polish Collection serves up pretty pastel digits that are wedding day — or any day — ready. Get them from Amazon for $11.50 each. / Available in six shades, plus one top coat. 4. Milani Keep It Clean Longwear Lip Color Remover wipes your pout clean and keeps it hydrated with the help of grapeseed and safflower oils. 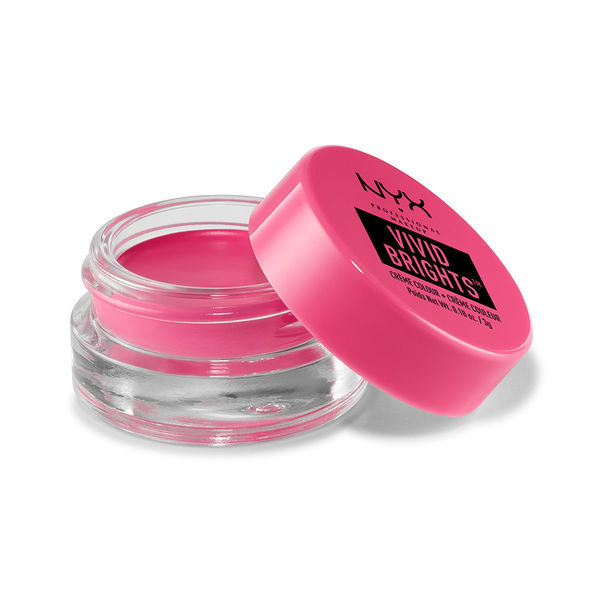 For maximum softness, follow it up with Milani's Keep It Sweet Sugar Lip Scrub and Keep It Smooth Moisturizing Lip Treatment. 5. 100+ K-Beauty products have officially launched on CVS in collaboration with Peach and Lily's founder Alicia Yoon, including four brands being sold in the US for 🎉 the first time ever 🎉. Feeding affordable K-beauty and skin care to the hungry masses. Alicia also launched her own brand called Peach Slices, which only seems to be available in stores currently. Some of the products included in the pictures are the Ariul 7 Days Sheet Mask ($2.49), JJ Young Pore Bubble Mask ($16.99), Elisha Coy Moist Up Hyalurone Ampoule Serum ($12.99), and the Holika Holika Gudetama Smooth Egg Peeling Gel ($10.99). Shop the entire collection on CVS online or in stores nationwide! 6. Too Faced Love Light Prismatic Highlighters has stunning color payoff and might just be the prettiest thing on your vanity. Get it from Sephora for $30. / Available in three shades. 7. Physicians Formula #InstaReady Full Coverage Concealer covers up dark circles when BB cream or foundation doesn't do the job. Get it from Amazon for $10.95. / Available in three shades. Get it from Sephora or Nordstrom for $24. 9. Cosrx Triple C Lightning Liquid is a crazy-effective serum that contains a whopping 20.5% of pure vitamin C and 72% black chokeberry (which helps stabilize the vitamin C). Its concentrated formula (which doesn't contain any water!) works amazingly to fade pigmentation/acne scars, fight wrinkles, and keep your skin looking radiant. To ensure you get the freshest possible product, it's made-to-order in small batches and shipped directly to you from Korea. Read Charlotte's (who collaborated with Cosrx to create this) full review and making-of video here! 10. Bobbi Brown Art Stick Liquid Lip delivers full-coverage, semi-matte color that diminishes fine lines and wrinkles. It'll also delight the little kid in you with its squeezable tube. Get it from Sephora for $28. / Available in 16 shades. 11. Tarte Clean Queen is a vegan, alcohol-, and aluminum-free deodorant that marks another step in Tarte's foray into natural skin care. Its non-irritating formula contains natural plant starches to fight odors and doesn't leave white marks, but does leaves a subtle vanilla scent. 12. 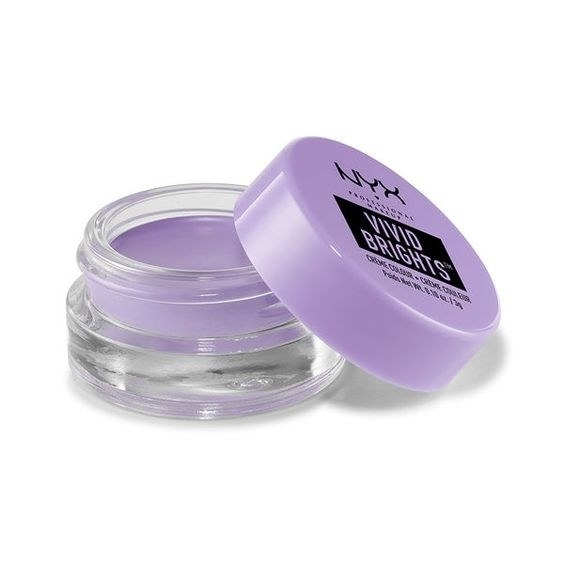 NYX Vivid Brights Crème Color leaves behind velvety, crazy-pigmented color that can act as liner or shadow, or even face paint if you're feeling adventurous. Get them from Ulta for $12 each. / Available in 12 colors. 13. Tatcha The Water Cream is a hydrating moisturizer drenched in Japanese botanicals that ~burst~ upon application — plus a dab of 23-karat gold for a fancy glow. Geishas turned to Japanese wild rose to create the perfect poreless pre-makeup canvas. The ingredients ~burst~ upon application, so you avoid any unpleasant stickiness. Get it from Sephora for $68. 14. Benefit GALifornia Blush dispenses the perfect flush of shimmery golden pink with the signature Galifornia Dreamin’ scent (notes of pink grapefruit and vanilla). 15. Pür Vanity Palettes come beautifully and compactly designed and ready to roll with four eyeshadows and a blush, bronzer, and highlighter. The mirror also pops up (the middle white part acts as a stand) for easier on-the-go use and touch-ups. Get them from Pür Cosmetics or Ulta for $36. / Available in two sets (Dream Chaser and Goal Digger). 16. Olay Duo is a double-sided body cleanser with a scrubby side that exfoliates and a smooth side that softens and conditions skin. The soft flexible interior lathers up once the cleanser meets water. 💦 Hang dry and use again. Get it from Amazon for $9.73. / Also available in Refreshing Clean, Pure Sport, and Swagger scents. 17. Make Up For Ever "Express Your Brows" Collection includes Brow Gel, Brow Pencil, and Liquid Brow Liner for a triad of options to naturally fill in and define your brows. Get them from Sephora — the brow gel for $20, brow pencil for $20, and the brow liner for $23. Each product is available in five shades. 18. Sunday Riley C.E.O. Rapid Flash Brightening Serum contains 15% stabilized vitamin C* for visibly brighter skin and a glow that actually comes from within. *In the form of THD ascorbate. Get it from Sephora for $85. 19. Kat Von D Everlasting Lip Liners are the long-awaited partners of the iconic Everlasting Liquid Lipsticks. So your lipstick will truly outlast an apocalypse (maybe even more than one!). Get them from Sephora for $18 each. / Available in 30 shades. 20. Fresh Rose Deep Hydration Facial Toner joins the brand's extensive lineup of rose-themed products and contains ~real petals~ for a picture-perfect pH rebalancing. For maximum rose dosage, pair with the Rose Cleansing Foam, Rose Face Mask, and Rose Deep Hydration Face Serum. 21. Nudestix Nudies All Over Face Color Bronze + Glow are dual-ended crayons with shimmery, lightweight brighteners and a brush for stippling. These aren't just for cheeks! The model on the right also applied product to her eyelids for a subtly glam monochromatic look. Literally just swipe it all over your face, gogogo. 22. Bobbi Brown Skin Foundation Cushion Compact packs sheer-to-medium coverage, SPF 35, and caffeine and lychee extracts for a silky, polished complexion. Get it from Bobbi Brown or Nordstrom for $50. / Available in nine shades. 23. Make Succulent Skin Gel is a multifunctional, nonsticky product that uses cactus extracts and other calm ingredients to hydrate, detoxify, and firm skin. Get it from Make Beauty for $25. And check out the rest of their collection on Amazon! 24. ColourPop Pink Spring Monochromatic Collection includes the Belle of the Ball Pressed Powder Shadow Palette, Done Deal Pressed Powder Face Duo, and Phase 2 Lip Bundle. Phrase one is Nectar, phase two is Pink, and phase three is Sand. Check out a coworker's review on the Belle of the Ball eyeshadow palette here (#9)! 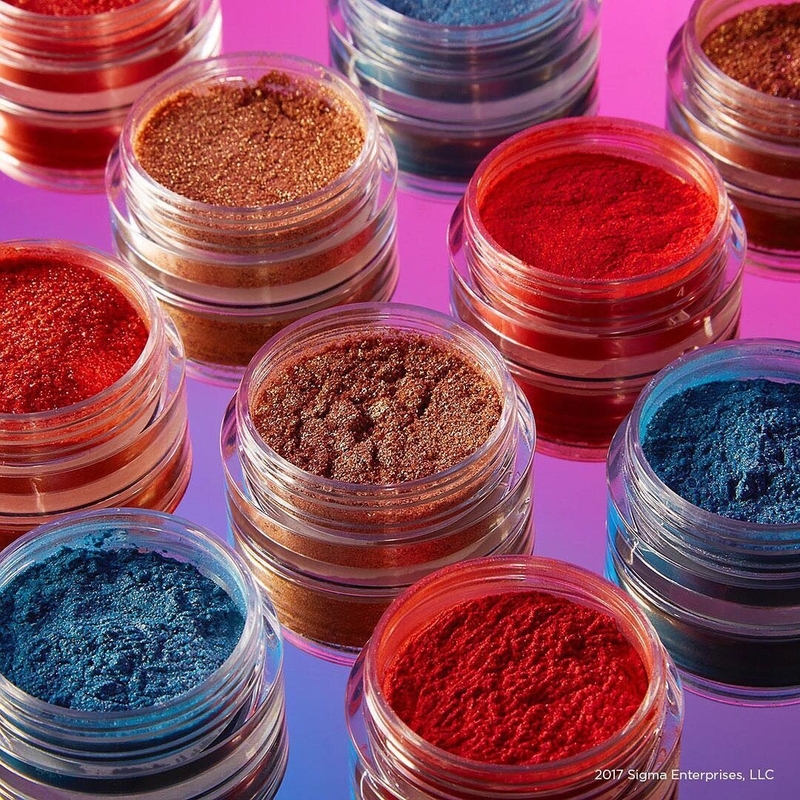 Get the Pink collection from ColourPop for $15+. 25. Wander Beauty Glow Getter Mist spritzes glacier water and evening primrose oil for a pre- or post-makeup dose of hydration. Or for a midday wake-up call...I mean, refresher. 26. Kevyn Aucoin The Sensual Skin Primer has a pump applicator and a built-in ~palette~ so you can easily sheer out foundation or concealer. The Molten Lip Colors are also brand-new metallic lip colors available at Sephora for $30 each (six shades)! 27. I'm Meme I'm Macaron Cushion Correctors cover all of your discoloration issues in a petite compact that looks good enough to eat. Which ones are the real macarons? Tough call. Get them from Memebox for $14 each or as a set of three for $39. / Available in five colors. 28. After a trip to Tahiti, Bite Beauty's founder was inspired to create these Prismatic Pearl Crème Lip Glosses for a stunning, multi-dimensional glitter party on your lips. Get them from Sephora for $22 each. / Available in seven shades. 29. In line with traditional Scandinavian spas, Ole Henriksen Pore-Balance Facial Sauna Scrub has both warming and cooling agents that refine pores while AHAs lift and loosen dead skin cells. Not to mention the laundry list of additional good-for-your-skin ingredients like volcanic sand, eucalyptus, and Irish moss. 30. Rms Beauty Champagne Rosé Luminizer is the blush-pink spinoff of their cult-status Living Luminizer for a dewy and ethereal pop of highlighter. 31. Loose Shimmers & Sigma Loose Glitters dish out a gorgeous, foil-like effect whether applied with just a few dabs or multiple layers. Are you festival season ready or what? 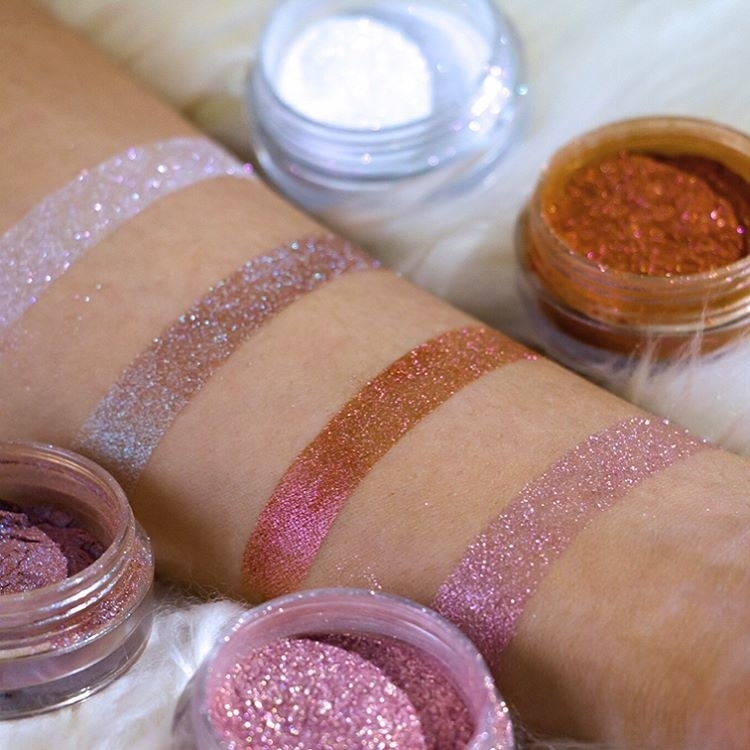 Get the Loose Shimmers (14 colors) and Loose Glitters (five colors) from Sigma for $12 each or as a set of three for $21. 32. Jouer Springtime in Paris Eyeshadow Palette contains 12 pigmented cool plums and warm neutrals that possess a certain ~je ne sais quoi~. If you can't be in Paris, at least your eye makeup can channel cherry blossoms floating along the Seine. Get it for $40 on Jouer Cosmetics or Dermstore. And shop the rest of their collection on Amazon! 33. Clove + Hallow launched earlier this year with a mission to make only cruelty-free, vegan, and clean products — so clean that every product contains 15 ingredients or less. So far they've only launched two lip products, but it seems like they'll be expanding into face (pressed mineral foundation to be exact), cheeks, eyes, and skin care categories soon enough. Get the Lip Crème from Clove + Hallow for $19. / Available in nine shades.